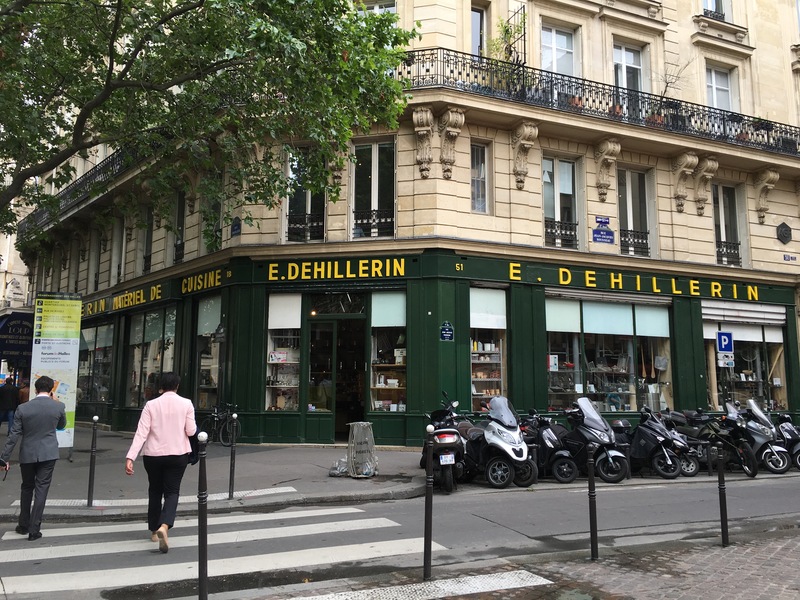 Is it any surprise my first stop in Paris is the premiere cooking equipment shop, E. Dehillerin. We saw a woman walking down the street with a shell swinging from her backpack. All the markings of a pilgrim. We introduced ourselves as two former pilgrims. To her great relief, the South African asked directions to the metro station. Being a pilgrim it’s like being in a sorority or a fraternity. We share a bond. We walked the woman to the metro stop and help her purchase her ticket. Camino magic. 50,000 Paris Marathon runners plus one bandit, me. To run a race without paying the entrance fee is to be a bandit. Racing or simply running a marathon on the eve of 1,000 walk would be to invite trouble; so, I ran the first 25km for the joy of experiencing Paris as centuries of heroes may have experience the Champs-Élysées with cheering crowds and the unique splendor only Paris can claim. Luxembourg Garden has all but the kitchen sink…huge water fountains with model sail boats for children to sail with pushing poles, tennis courts, pedal go-carts, competition chess games with both the traditional hand-slapping analog clocks as well as cell phone stop watches, bocce ball, Shetland pony rides, climbing walls, play structures, statues, flowers, topiary trees, sun bathers, picnic baskets, readers, bee hives, and runners. Trees planted like spokes radiating on a wheel continue to fascinate me. How would you get around a garden 608 acres or about a third the size of University of Virginia’s 1,683 acres? At Versailles Segways, auto-trains, golf carts, bicycles, and various boats are available for hire. As for me, I walked. Gardens made of trees helps give concrete form to the scale. From a high perspective the symmetrical patterns created by the trees, some clipped into precise shapes and others let to grow in their natural forms, can be seen. Where else but in Versailles would one live like a king? This picture was taken in the Hall of Mirrows. 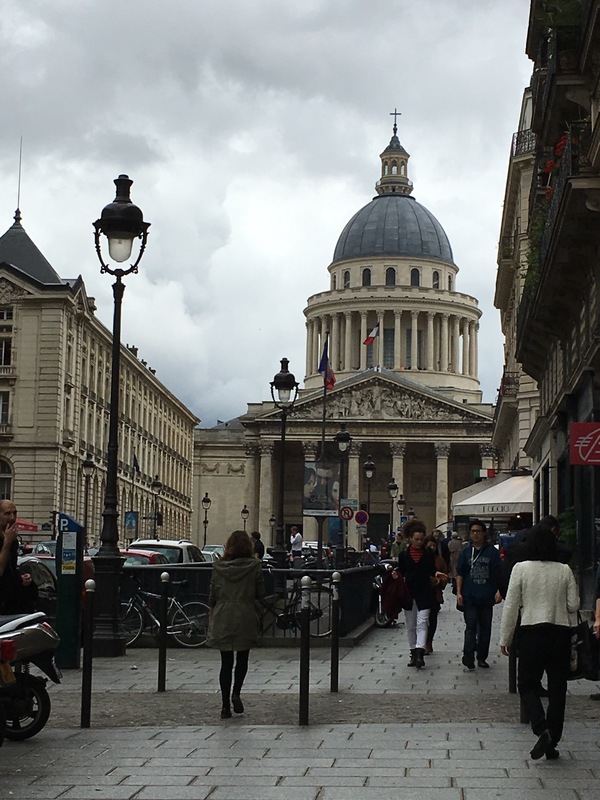 Louis XIV moved from Paris to Versailles in 1682 making it the center of political power. The royal family was was forced to flee to Paris October 1789 at the start of the French Revolution. Versailles is one of the world’s largest palaces on 608 acres of breathtaking gardens. As homes have gardens of flowers, Versailles has gardens of trees anchored by enormous water pools and elaborate fountains all in symmetrical fashion. 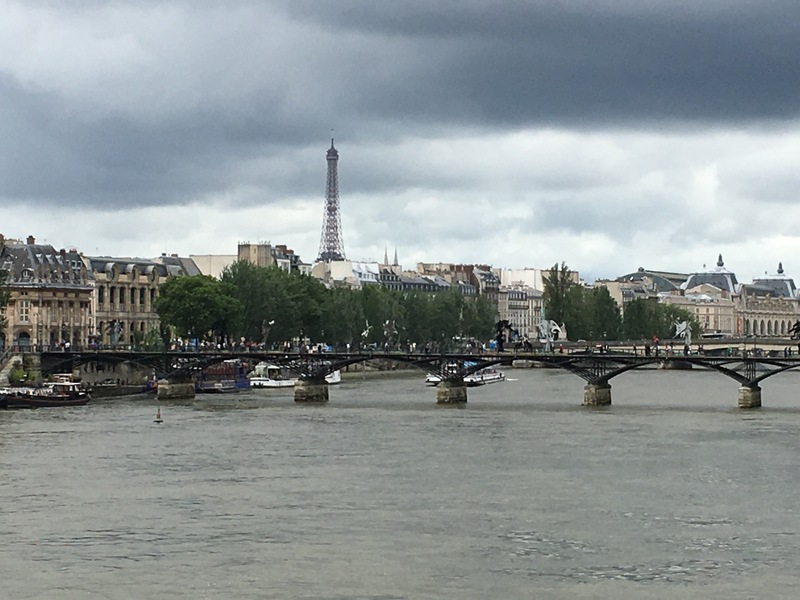 Eiffel Tower is in the background as seen from the top of Notre-Dame Cathedral. A 360 degree view of this magical city. Yes, I fueled myself with a Nutella (chocolate-hazelnut crepe) before the climb.